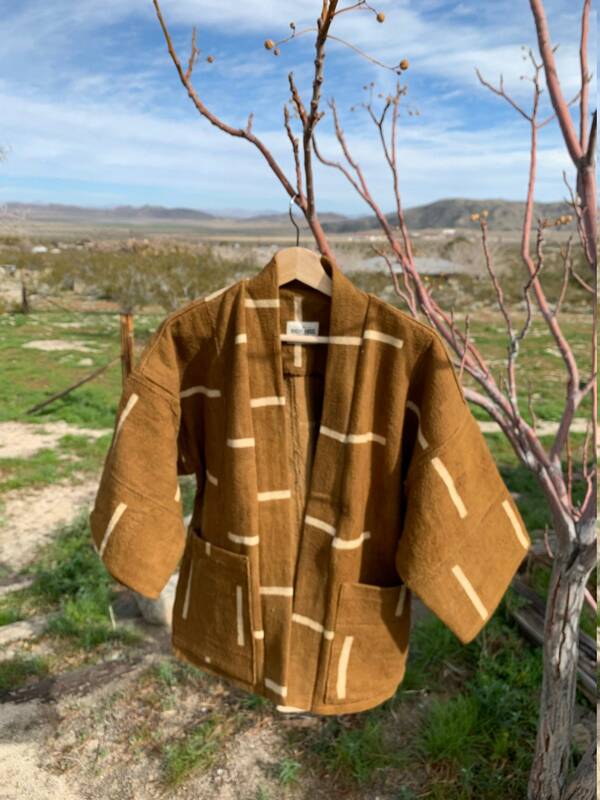 We chose to use this vintage African mud cloth from Mali, West Africa to create this special one of a kind Haori style jacket. 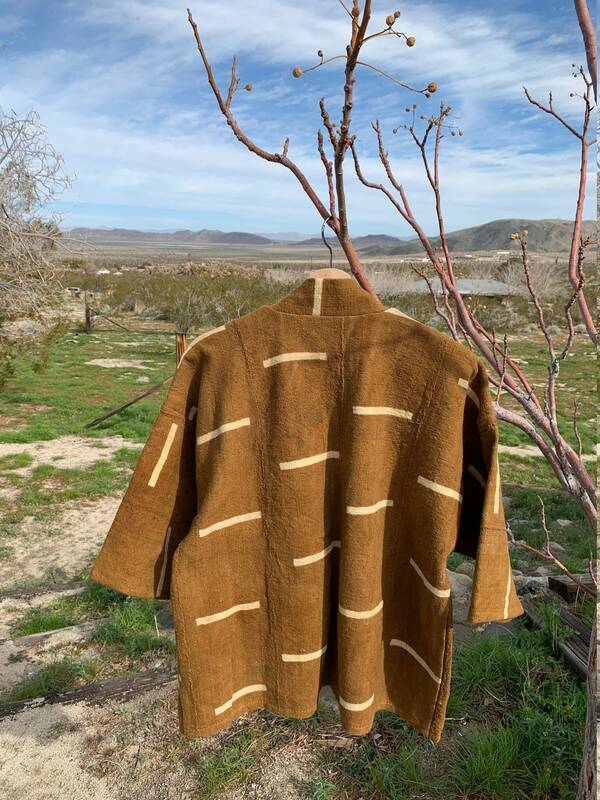 The cloth is a soft cotton mud cloth in this amazing shade of desert brown that we just love. The jacket is a very relaxed fit and hits about hip length like a traditional Japanese Haori style jacket. We also added pockets to the front of the jacket to give it a relaxed feel. This is a one size fits all and unisex piece. We suggest washing in cold water gentle cycle, line dry and iron if needed.